The diameter of this mushroom usually varies from 5 to 11 cm. 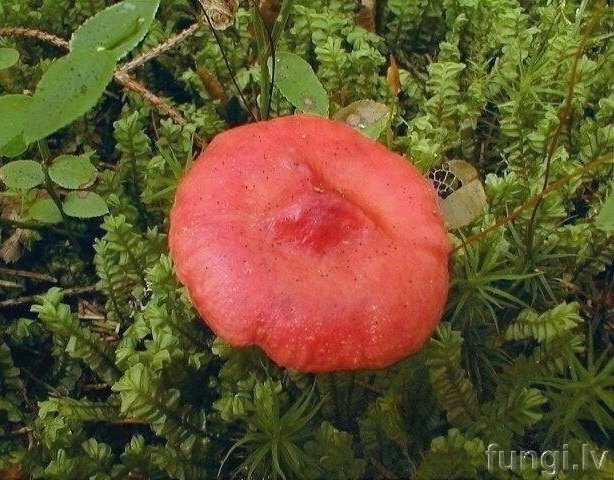 It has a very bright, shiny red cap and a milk-white shiny stem. It has very astringent, unpleasant taste. Spore powder is white. It grows in wet coniferous forests from August to October. It is common in Latvia. Inedible, perhaps even slightly poisonous.